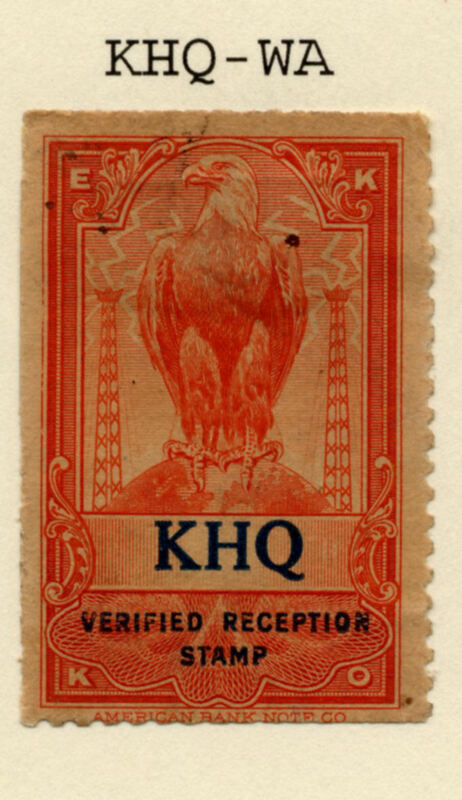 KHQ's inaugural broadcast in Spokane on 30 October 1925, which began at 8 PM, was marked by "elaborate dedication ceremonies" according to the Spokane Chronicle. For some time, radio technicians from Seattle's Brott Laboratories, led by F. J. Brott, had been preparing the transmitter located on top of the Peyton Building for this occasion. On the day of the broadcast, the Spokesman-Review declared that "radio fans from near and far will turn their dials to a 273-meter wave-length (or 1100 kHz) at 8 o'clock." Officials from the Inland Empire Broadcasting Association hoped "to change this to a longer wave length in the immediate future." Mr. Louis Wasmer, president of the Inland Empire Broadcasting Association, noted that "the same amplification equipment is being installed that is used on all the later San Francisco and Seattle stations." At the inaugural ceremonies, Rev. Dr. Louis Magin of St. Paul's Methodist Church and president of the Spokane Ministerial Association and Rev. Father Fitzgerald "pronounced the dedication invocation." An address by Lt. Governor Lon Johnson was given. Greetings from the "Friendly City" (a nickname for Spokane) were given by Mr. Harlan I. Peyton, president of the Spokane Chamber of Commerce. Mr. R. L. Rutter, president of the Northwest Indian Congress and Mr. Charles Hebbard also spoke. Various groups sang musical numbers and performed vaudeville acts. 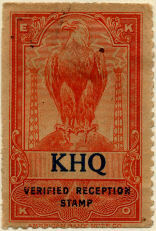 Mr. Frank A. Buhlert, director of KHQ, was at the microphone in the studio in the Davenport Hotel for this special broadcast which concluded at 12 Midnight. The Spokesman-Review noted that "the first 500 listeners who send telegrams or phone in that they have heard the program will receive a souvenir bag of ore from the world's largest lead mine, the Bunker Hill and Sullivan, Kellogg, Idaho." "Ceremonies Will Mark Opening of New Radio Plant. "Spokane Chronicle, Spokane, Washington, 30 October 1925. "KHQ Goes On Air Here." Spokesman-Review, Spokane, Washington, 30 October 1925.